I've been playing around with my Kodak Duaflex camera this week (the results of which you will hopefully see in tomorrow's post), which means I've had vintage cameras on the brain. I've also recently reclaimed the fun of using pencils again. 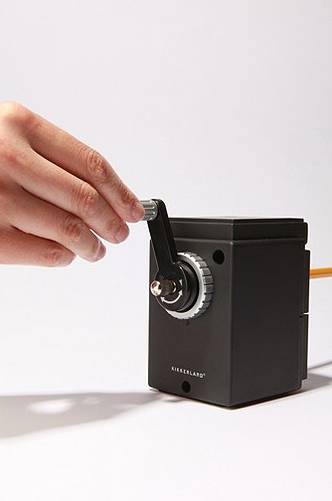 There's something freeing about knowing you can easily erase something you scribble down, and as a kid I also loved how wonderfully worn in the paper got after two or three times of an eraser rubbing over it. 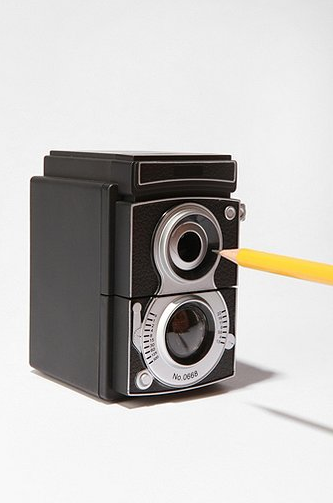 So it was somewhat clandestine when I came across this reflex camera pencil sharpener (which is now on my wishlist, thank you). 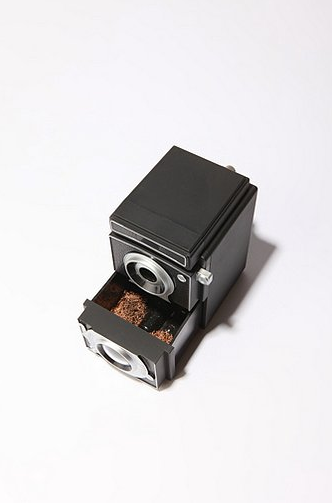 And the way this kind of camera is built, it's almost like it was suppose to become a sharpener at some point: the lens easily turns into a hole for the pencil (get your mind out of the gutter, dirty bird), and the advance lever winds around to sharpen said pencil.